The train connects the summer capital of Jammu and Kashmir to Sealdah city in West Bengal, a spokesperson said. JAMMU: Union minister of state for railways Rajen Gohain today flagged off a new weekly Humsafar Superfast Express Train from the Jammu railway station. Satpal Sharma and Kavinder Gupta, MLAs, Jammu and Kashmir, Vishwesh Chaube, General Manager, Northern Railway, Vivek Kumar, Divisional Railway Manager, Firozpur and senior officials from railways and state were also present on the occasion. The rail network of the country now extends from the extreme east to the extreme west, and from the extreme north to the extreme south, knitting the nation in one strong and coloured fabric, he said. Jammu is an important city, close to the pilgrimage centres and the International borders, while Sealdah is one of the most important stations of Kolkata, which is a major metropolitan city, the introduction of this train, therefore, would benefit thousands of passengers including our soldiers, the spokesperson said. 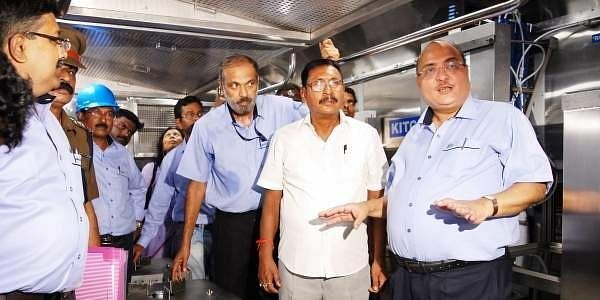 The Humsafar Express provides state-of-the-art facilities like fully air-conditioned, modern and safe LHB coaches, GPS enabled train positioning, LED display, Bio-toilets, Smoke Alarm, CCTV camera and fire extinguishers, the spokesperson said. With enhanced comfort and safety accommodations, the Humsafar Express includes Braille signages for visually handicapped, mobile and laptop charging points, for the comfort of passengers. Additional Railway Protection Force, Bhairavi and Virangana Teams for Safety of Women Passengers has been deployed on the Jammu station and in other stations of the northern railways as well. The effort to develop the rail network has touched the boundaries and hinterlands of the country where railway lines are being laid in difficult mountain terrains, thus reaching more and more passengers and catering to their travel needs, the spokesperson said.